Thanks to a special partnership between the Charles Hastings Education Centre and the University of Worcester, you can now visit two sites for a unique learning experience. Both museums offer a varied programme of workshops for KS1 to KS4 and are on hand to tailor them to suit your specific needs in enriching curriculum studies. 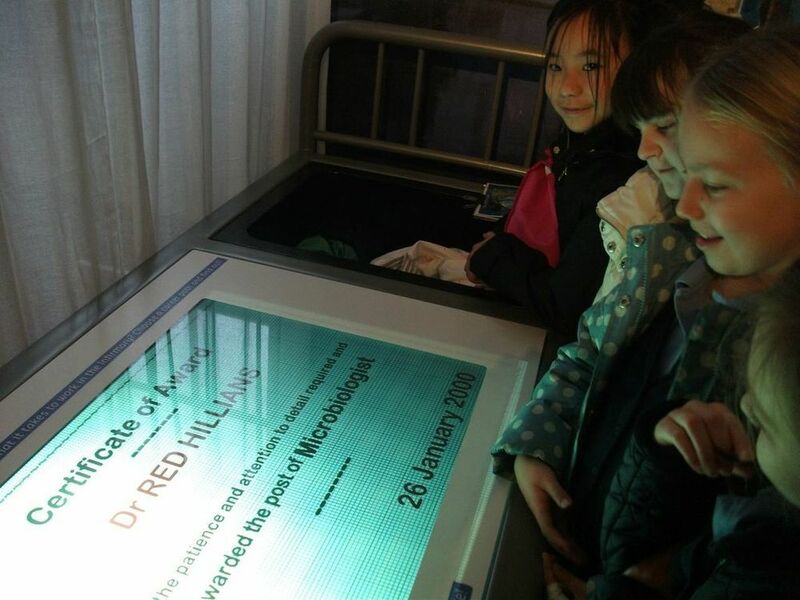 Choose to visit one or both museums; joint packages provide ideal opportunities for cross-curricular working and can help facilitate the development of essential skills such as interrogating evidence which creates time for debate, discussion and reflection. With collections spanning nearly three centuries, and an outstanding resource of handling objects, there are excellent opportunities to develop skills in historical enquiry and to build understanding in chronology and change through investigating medical and public health advancements. Did you about the museums' fantastic new board game for KS3 Mathematics? Click here for more information. Guided tours of both the George Marshall Medical Museum and the infirmary building can be arranged for your group. If you wish to spend time in either of the museums without staff present, this can be arranged free of charge. Please check your preferred date of arrival so there are no double bookings. At The Infirmary Museum, students will have the chance to learn about the history of the British Medical Association, view some 1700s patient graffiti and learn why a brewery was needed in a Georgian hospital. At the George Marshall Medical Museum, knowledgeable guides will focus on the collection of death masks of hanged criminals, the Victorian surgery display and the replica apothecary shop. Students will find out what remedies were used to treat gout, and what an operating theatre used to look like. Students will explore the lives and accomplishments of three superheroes of medicine, of your choice, such as Aristotle, Sir Charles Hastings and Florence Nightingale before creating their very own comic strip based on their amazing adventures. Who will they think was most important? Why not watch Heroes of Medicine in the lecture theatre? Students will follow heroine Sarah as she takes a journey back in time to meet all the famous characters in the developments of medicine. The film gives a good general introduction to the history of medicine. There is a charge of £15 per class. Students will take on the role of 19th-Century apothecaries and use mathematics, creative and logic skills to create remedies for patients struck down with cholera. Using resources including handling objects, ingredients lists and letters from their patients, teams of students will develop remedies to cure the afflicted, before pitching their remedy to see who wins. Students meet three soldiers from different periods of History, spanning the last 2000 years, and learn how their injuries would have been treated. Prominent discoveries, key individuals in Medicine and the impact of war on the development of medicine will be discussed and brought alive through object handling. This workshop gives students gory accounts of the developments in surgery during the late 1800s and early 1900s, with a focus on anaesthetics and antiseptics. Students will handle authentic Victorian objects and find out how a limb would have been amputated in 1830 with the use of our amputation chair. This workshop is great for chronological understanding, and concludes with important debate. This workshop explores 19th-Century remedies used to treat cholera. Students use archival sources and maps to investigate how the disease affected the people of Worcester and how local practitioners sought to prevent it. This reflective session will enable students to consider changing approaches to the care of patients with mental ill health and enable a study of personal accounts taken from oral histories and archives from Powick's Victorian Asylum. For Key Stage 4 and beyond, this workshop can be enhanced with the addition of personal testimony and Q&A with a former member of staff from Powick Hospital. If this option is required, an additional cost will be incurred. This hands-on session gives students the opportunity to research, plan and deliver their own exhibition. Working in teams, they will use real objects from our handling collection, and pitch their ideas to the other teams to evaluate and choose the winning exhibition. Object handling sessions last 30 minutes and can be tailored around a number of themes e.g. the History of Medicine, Nursing or Medical Inventions. What does your body need to survive and be healthy? Find out how you can be healthy by eating a balanced diet and doing exercise. How can we measure health? See how measurements contribute to our understanding of health by taking part in The Infirmary’s health challenge. Join Charlie as he goes on an adventure and discovers what each of his senses are for and what can be found inside his tummy. 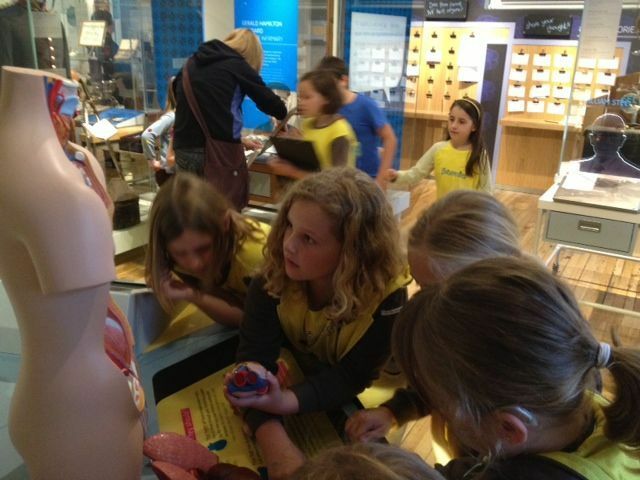 Pupils will learn all about parts of the human body and the senses in this interactive story workshop. Investigate the bones and muscles in the human body by piecing together a human skeleton. Discover the purpose of a skeleton and see what happens if your bones were made of jelly! Identify broken bones from real X-Rays, from when the Infirmary was a working Hospital, and diagnose the problem. Experience how bones and muscles work together using a model arm and by becoming muscles! Have you ever wondered what happens to the food that you put in your mouth? Pupils will follow their breakfast on a journey through the digestive system, they will learn the function and name of each part. Why do you need to eat a balanced diet? Do you eat a balanced diet? Find out when you play the Wheel of Food! The human body is a machine, it needs fuel to power it and has a complex system of pipes to get the fuel to the places it is needed. Pupils will find out how these systems work by role playing the circulatory system. What happens when you put the wrong fuel in a car? Similar things can happen when you put the wrong balance of fuel in the body. Pupils will learn about the effects of diet and drugs on the human body and will come up with an advertising campaign to warn people of these effects. How have prosthetics changed in light of technological and design developments over the last 200 years? This workshop will provide students with the opportunity to understand technological changes that have impacted on prosthetic limbs, the experience of prosthetic-users and how social attitudes have both lead to and responded to developments in prosthesis design and the concept of disability. The aim is to develop students’ abilities to transfer this approach to any design project they may undertake; focusing on the user, encouraging ingenuity, exploring the responsibility of the designer and to understand how products can impact on individuals and society. Students will discover what Doctors and Scientists knew about disease at different points in History through object handling. Students will find out what causes disease and how the human body defends itself from disease by getting involved in role play. Finally students will consider how modern medicines are used to treat and cure diseases and debate the limitations of antibiotics and other medicines. All workshops cost £2.75 per student, with a minimum spend of £55 per session (apart from Be a Curator). They can be delivered to a maximum of 30 students. Tours can be booked at a cost of £25 per tour. Joint visits can be organised for you. Please check all that apply. A standard teaching day includes two workshops and tours. Thank you, we aim to respond to all booking requests within 5 days.